We’ll be making a lot of changes to the Intergalactic Travel Authority (our storefront) in the next little bit. We’re not quite ready to announce our plans quite yet, but we do want to take a minute to thank you, our loyal space travel companions, for all of your helpful input and feedback. We’d be positively lost in space without your help! We had a blast hosting our PD day Alpha and Story Making App workshops this past Friday! Our Story Making App Workshop is a chance for young storytellers to help us create a story-making app that’ll allow kids to create and share their stories. Thanks to the input we got on Friday, we’re well on our way to developing this app! Thanks to everyone who came out for our PD day workshops! Arts Market is hosting a Charity Craft Supply Swap on Saturday, February 21! Swap your beads for paint brushes, meet some creative people and donate to a worthy cause. Arts Market has teamed up with STRanger Artiste who started the Cold Hands Warm Heart Project with PARC. Instead of a cash participation fee, they ask that you donate an item from the list they’ve posted on their Facebook event, such as toiletries, blankets or hand warmers to give to those who need them most this winter season. Any leftover crafting supplies from the event will be donated to Story Planet. Check out Arts Market’s Facebook event page for more information. We’re so excited to be a part of this event! As you may have read in our last blog post, we’ve recently launched new research in partnership with the Michael Cohen Group (MCG), with financial support from the OMDC, exploring how teachers use digital books in the classroom. On top of that, we’ve got a whole line-up of fun events and workshops planned for this week. If you’d like to get involved, follow this link to find out how you can sign up for our upcoming volunteer orientation event! We’ve been taking a break from outer space to look at our inner space to see how we can make it more awesome. Specifically, we’ve been focusing on the Intergalactic Travel Authority (our storefront) to see if we can make it a more viable contributor to our budget. This means looking at the business model and seeing what we could be doing differently (however radical). Last Thursday, we hosted a town hall meeting to hear if you, our loyal space travel companions, and you gave us a lot of great ideas! With your help, we’ve made some exciting decisions about the Intergalactic Travel Authority that we’ll be sharing with you soon. We look forward to hearing what you think and getting your feedback on those changes. If you weren’t able to come by but have ideas you’d like to tell us about, please feel free to email, call or even arrange a time to come and meet with us in person. We’d love to see and hear from you! This week, we welcomed the grade 5 class from Pauline Public School for an Alpha Workshop. While they were here at Story Planet, the students co-wrote “The Bright War of 1985,” a story about Ethel Coocka, an evil girl made of Lego who had snakes for hair! 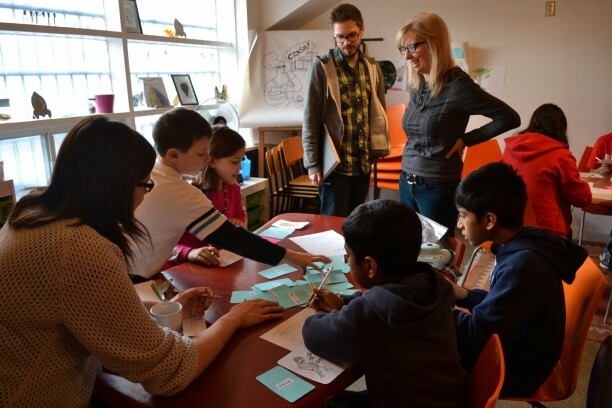 Thanks to your generous contributions, we will be hosting Alpha Workshops for classes from participating Toronto elementary schools every week until March. While most of the Alpha Workshops we have scheduled in the coming weeks are only for schools coming by on field trips, we do have open registration for the PD Day Alpha Workshop this Friday, January 23 from 10am-12pm, but space is limited! Click here to find out more about our Alpha Workshops and to sign up. We got so much great feedback from the kids the last time we ran this workshop, that we’re doing it again! 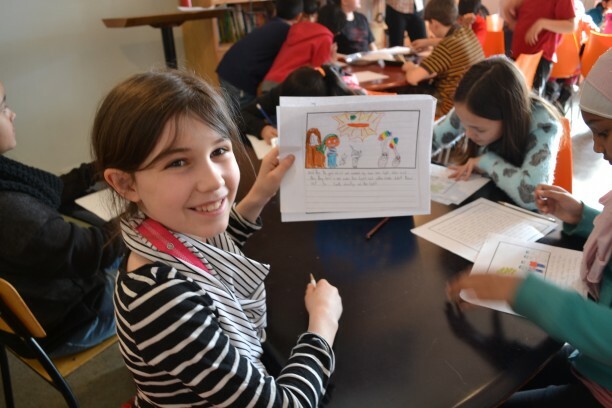 This Friday, January 23 from 1pm-2:30pm (right after the Alpha Workshop), kids between the ages of 8 and 11 are invited to come help us design a storytelling app that’ll help kids like them create and share their stories. The registration cost for this workshop is a suggested donation of $5, so contact Joe if you’re interested. But please note that registration is almost full! Starting on Thursday, February 12, Story Planet will be the venue for a 5-week introductory mindfulness practice workshop for teens between the ages of 14 and 19. In this program, teens will learn mindfulness practices that will be helpful them manage stress, improve attention and focus and increase overall well being. The program will be run by Sara Marlowe, MSW, RSW, a clinical social worker who has offered numerous mindfulness groups and workshops for teens, adults, children and families. Follow this link to find out more information about this workshop or to register. 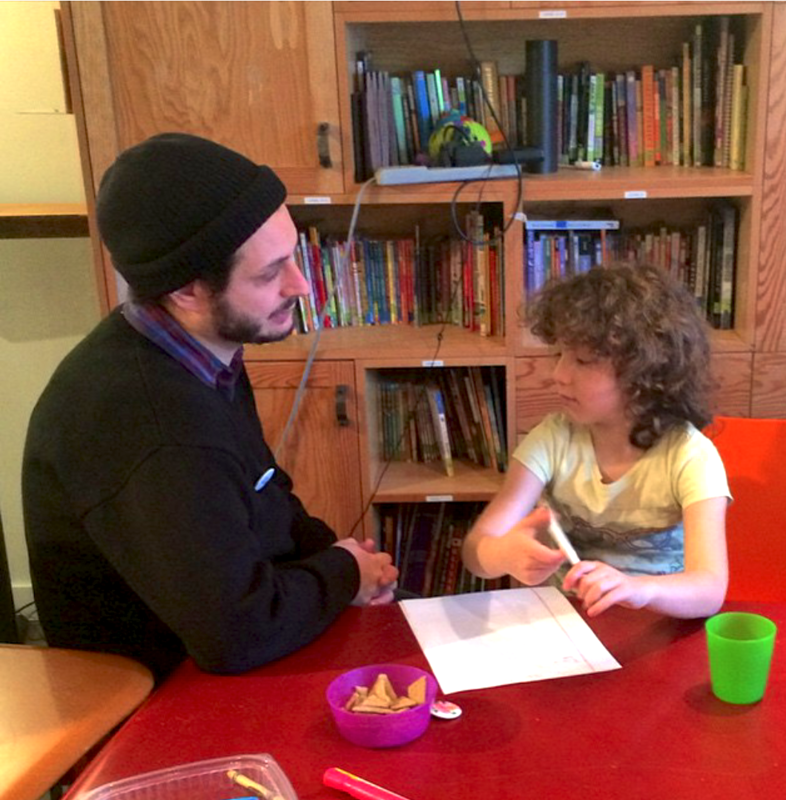 Story Planet is not running this program, but we are happy that it is happening in our space! We’re looking for someone to help on the administrative side of Story Planet and to support our current coordinator, Rebecca. If you are organized, social media savvy, enjoy communicating with others on multiple platforms and have a passion for Story Planet, we want you! Oh — and if you know your way around a website, that wouldn’t hurt either! We are looking for someone to commit at least one day a week in-office, plus be open to answering emails if need be throughout the week. For more information, or if you’d rather check out some of the other volunteer opportunities we have opening up, please don’t hesitate to email us at volunteer@storyplanet.ca. Story Planet Launches New Research! Story Planet and the Michael Cohen Group (MCG) launch new research that reveals current in-school digital book practices, key influencers, and purchase drivers among Ontario early elementary teachers and school librarians. The project, “If We Build It Will They Come? Digital Books in the Educational Landscape,” also provides insights at the school and industry level. “By identifying current usage as well as the needs and barriers to the more extensive use of digital books in school, we hope this research helps both the Ontario education community and the digital book creation industry as they contend with the complexities of the successful incorporation of digital media into the education system, ” said Carmina Marcial, research director at the MCG and the principal investigator for this project. The research reveals the current state of flux in Ontario schools regarding the purposeful integration of technology, including digital books. Funded by a grant from the Ontario Media Development Corporation (OMDC), the project aims to help Ontario’s digital book creation community find ways to maximize their investment in the digital shift and grow their business. The study’s methodology involved a four-phase program of primary and secondary market research. Primary research included individual interviews with project partners and school policy makers and an online survey with first and second grade Ontario teachers and school librarians. Secondary research consisted of a review of academic, research, and market knowledge regarding digital books and the digital book industry. Strategic implications and recommendations – crafted through an analysis and synthesis of findings from the four phases of the Project — are included in the full report. The full report is available on the OMDC website, www.omdc.on.ca under “Research funded by the OMDC”. Project partners include the Canadian Children’s Book Centre (CCBC), eBOUND Canada, Groundwood Books, Kids Can Press, and TVO. Partners participated in initial foundational interviews that helped identify the informational needs of digital book creators and set the stage for the rest of the research. 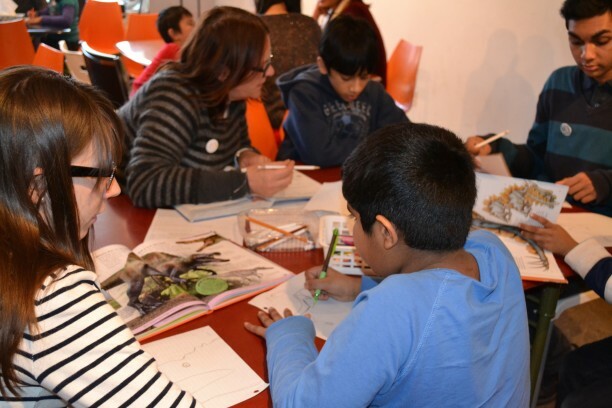 Story Planet is a non-profit, storymaking centre that delivers free workshops in literacy and arts that encourage young people to create and tell their stories by igniting their imagination, fuelling their knowledge and equipping them with the tools they need to launch their voice. MCG is a research, evaluation and consulting firm with extensive experience with children, youth and families in the areas of education, child development, media, marketing and strategic communications. Engaged in applied research, scientific evaluation and knowledge-based consulting, the firm’s professionals represent the social sciences, including education, child development and psychology. An agency of the Province of Ontario, the Ontario Media Development Corporation (OMDC) is responsible for stimulating economic development in Ontario’s book and magazine publishing, interactive digital media, film, television, and music industries. For more information, visit www.omdc.on.ca. The Canadian Children’s Book Centre (CCBC) is a national, not-for-profit organization, founded in 1976. We are dedicated to encouraging, promoting and supporting the reading, writing, illustrating and publishing of Canadian books for young readers. With book collections and extensive resources in five cities across Canada, the CCBC is a treasure-trove for anyone interested in Canadian books for young readers. Our programs, publications, and resources help teachers, librarians, booksellers and parents select the very best for young readers. eBOUND Canada’s goal is to advance any publisher’s digital engagement, no matter their size or their level of expertise. As the market evolves, so will we, always with this mandate in mind. Kids Can Press, the largest Canadian-owned children’s publisher in the world — home to major children’s brands Franklin the Turtle and Scaredy Squirrel, and to an array of international award-winning books — celebrated its 40th Anniversary in 2013. From its early years as a small collective borne out of a desire to publish high-quality, socially responsible children’s books, Kids Can Press has evolved into a broad-based content company, adapting as the world of books and publishing has changed through the decades. About TVO. As the technological extension of Ontario’s public education system, TVO’s vision is to create a better world through the power of learning. TVO provides learning opportunities for Ontarians through innovative educational products, in-depth current affairs, groundbreaking documentaries, and award-winning TVOKids resources both inside and outside the classroom. TVO is funded primarily by the Province of Ontario and is a registered charity supported by sponsors and thousands of donors. For more information, visit tvo.org. There’s a lot going on here at Story Planet this week! Our Homework Club is back on, our Afterlight Book Club is meeting up and our Parents and Tots Meetup event is becoming a regular thing. On top of all that, in the very near future, we’ll be announcing lots of upcoming events and workshops, so stay tuned for more details! If you’re interested in joining in on the fun, we’re always looking for volunteer crew members and we have some great new programs coming up soon. Follow this link to find out how you can take part and how to get involved! Homework Club is back on! 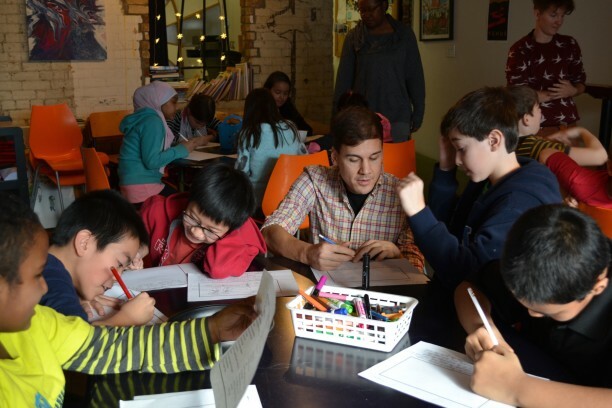 Homework Club, the free homework help workshop we host after school on Tuesdays for kids between the ages of 6 and 12 is officially back on after pausing for the holidays. To those of you who signed up your kids in September, we’ll see you after school! Our Afterlight Book Club is a monthly Meetup event that we host on the first Tuesday of every month. Anyone who enjoys reading and discussing novels in a fun and relaxed atmosphere is welcome to come. We provide the snacks and discussion questions. All we ask is that you contribute to the Meetup costs on a “pay what you can” basis. Any other proceeds from the events go to funding other Story Planet programming like the Alpha Workshop for kids. This Tuesday at 7:30, if you have time to read the book in time, we’ll be discussing Adult Onset by Ann-Marie MacDonald: a powerful drama about family, motherhood and love. If you can’t make it to this Tuesday’s event, next month (February 10), we’ll be discussing Sean Michaels’ Scotiabank Giller Prize-winning novel, Us Conductors. Click here to find more information and to RSVP to Afterlight Book Club events. Happy reading! As we mentioned in last week’s blog post, our Parents and Tots Meetup event is a comfortable and fun opportunity for parents of babies and toddlers to get out of the cold, grab a coffee and snack at the Intergalactic Travel Authority (our kid-friendly coffee shop), meet new people, hear from interesting speakers and hang out. We provide creative activities and fun toys for the kids. All we ask is that you contribute to the Meetup costs on a “pay what you can” basis. Other proceeds from the events go to funding other Story Planet programming for underserved kids living in Toronto. We’ve updated the store hours on the Intergalactic Travel Authority website. Learn more about what we do, check out when we’re open and come by for a coffee! All of the proceeds from the coffee and Earth souvenirs sold at the store go directly to Story Planet, which helps provide free programming to kids in Toronto, so naturally, our coffee is the best in the galaxy! Now that the holidays are over, our spaceship is slowly getting back up speed. There’s no Homework Club this week, but we do have some fun activities planned for our first Parents and Tots Meetup event..! Parents and toddlers: If you’re looking for something to do this Wednesday between 10 am and 3 pm, get out of the cold and into Story Planet for our Parents and Tots Meetup event! We’ll have toys and activities set up for your babes and toddlers, so bring some snacks, grab a coffee at the Intergalactic Travel Authority (the child-friendly coffee house attached to Story Planet) and hang out with friends! There’s no Homework Club this week, but it’ll be reconvening next Tuesday! For those who don’t know what it is, Homework Club is a free homework help program we offer to kids between the ages of 6 and 12 every Tuesday throughout the school year. Registration for Homework Club is closed for now (we accept new students at the beginning of every school year), but if you’d like to learn more about it, or email joe@storyplanet.ca for more information. Last Tuesday, we invited young writers to help us develop a storytelling app and we were really impressed with their feedback! At first, we gave our students pre-made cards with prompts for characters, settings and props they could use to write their stories. Then we gave them blank cards and encouraged them to contribute some ideas of their own. The kids really started thinking out of the box when they suggested we turn the program we’re developing into a game! We received a lot of great suggestions from the kids who came out last week, so we’ve got our work cut out for us for now, but we’re really looking forward to hosting a workshop like this again! Thanks to all the kids who came out and provided feedback. Your suggestions were really helpful!